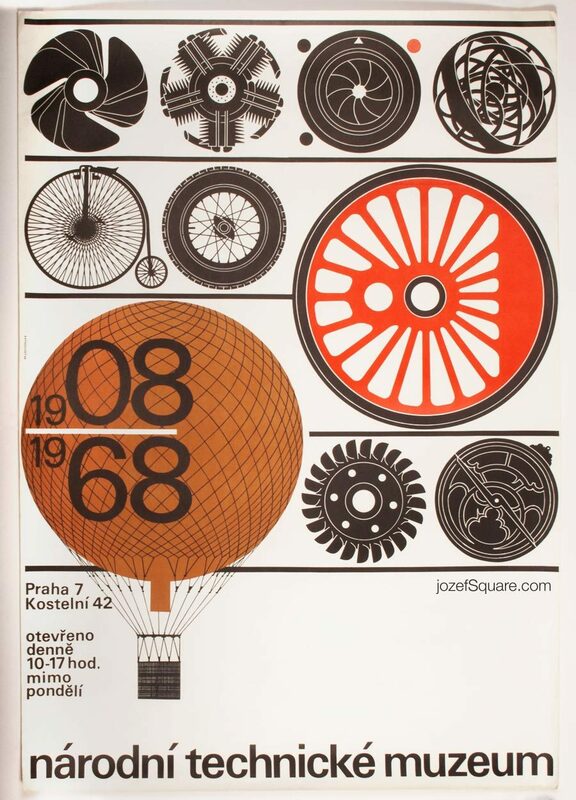 Exhibition poster for the anniversary of National Technical Museum in Prague with fantastic design by Czech artist and typographer Jiří Rathouský. Minimalist exhibition poster design for the National Technical Museum. 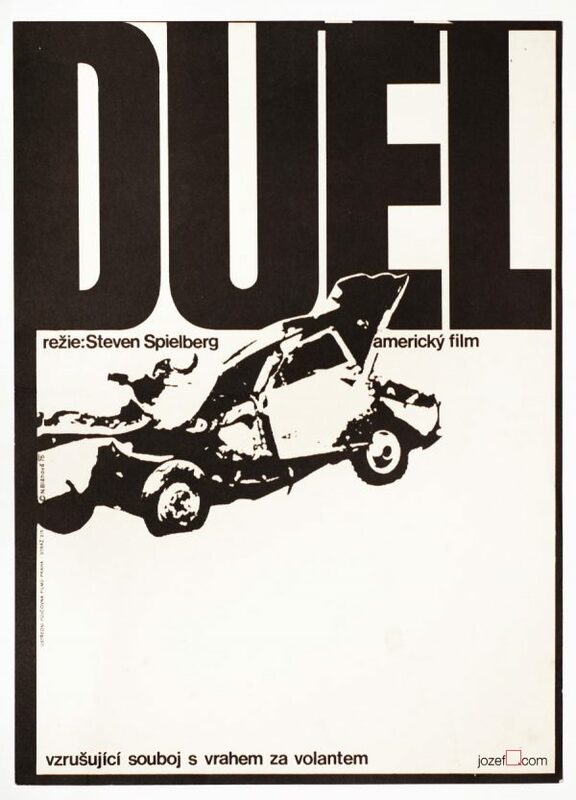 Poster was previously rolled. Creased with small cracks on edges. Slight crease also across the poster. Top right corner with bit more damage. Folds in corners. Slight stain on edges and at the back. 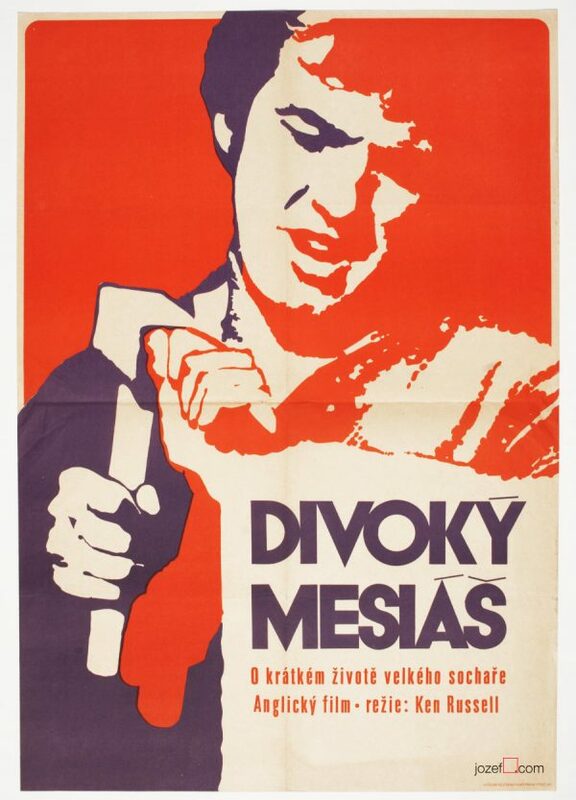 Poster is in large format (96 x 66.5 cm). Very nice condition (NOT PHOTOGRAPHED, PLEASE ASK IF YOU WISH TO SEE A PHOTO). 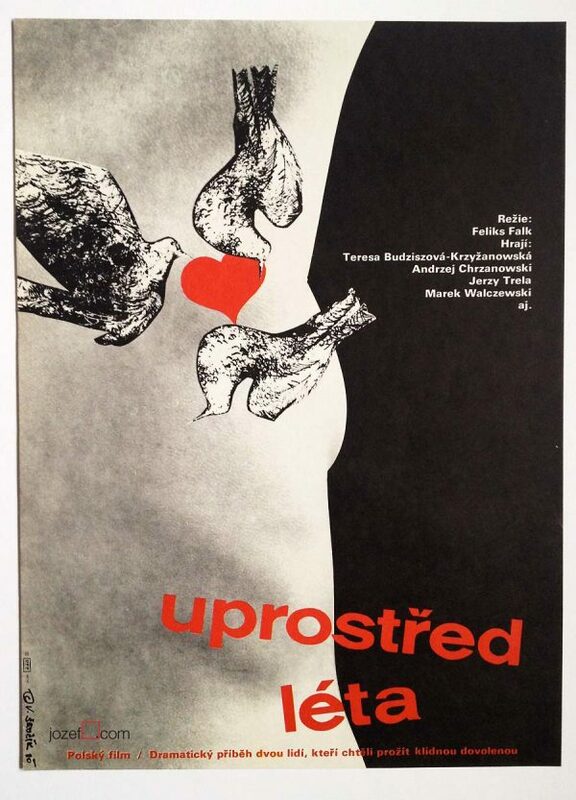 60s vintage posters designed in Czechoslovakia. 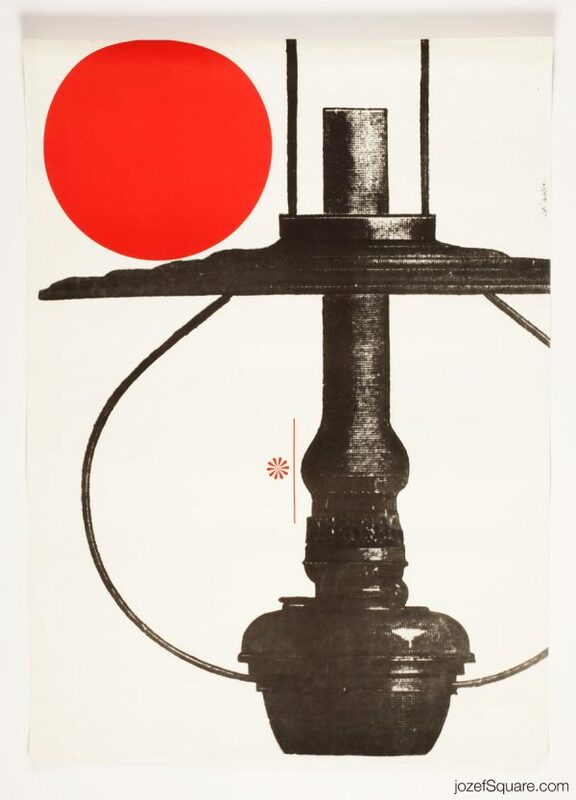 Be the first to review “Exhibition Poster – National Technical Museum 1908 – 1968, Jiří Rathouský, 1968” Click here to cancel reply.